Andre Schembri was replaced on minute 71 as Apollon Limassol registered a 3-0 win over Nea Salamis in the Cyprus top-flight on January 6. The result keeps Apollon in third place, on 31 points. 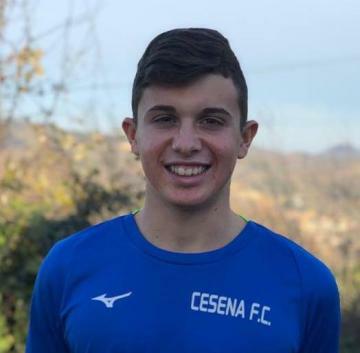 Maltese youth Jake Engerer has moved to Cesena youth team after starting the 2018/2019 season with Frosinone. This will be Engerer's second spell at Cesena after leaving them prior this campaign following Cesena's financial problems, which saw the senior team demoted into Serie D.
Meanwhile, Romario Camilleri has returned to Gubbio after his short spell at Como at the beginning of the season. Camilleri was already on the books of the Serie C club in the past. In League Two, Crawley Town made it back-to-back wins with a 1-0 victory at home to Cheltenham Town. Luke Gambin played full game for The Reds as they are now up to 15th place. Sam Magri and Ebbsfleet United were denied victory in the National League as they drew 3-3 at Chesterfield. The Fleet were 3-0 up at the break but missed a 99th minute penalty saved by a player who replaced the injured goalkeeper after Chesterfield made all three substitutions. Ebbsfleet have now slipped into ninth position. Meanwhile, James Magri played for Ebbsfleet's youth team in their 6-3 defeat against Sutton United as they are now 11th in their Division B standings. Malta international Rachel Cuschieri travelled with PSV Eindhoven women's team to Malaga for a training camp. She was part of the friendly game against the local team with the Dutch side emerging winners 3-0.